List 555: A United Iraqi Alliance? No longer Venice of the East? The secular ambience historically associated with Basra is under pressure after a second Islamist election victory in less than a year. On 20 December, the Iraqi election commission released partial elections results based on more than 90% of the votes cast. Due to ongoing controversies about possible fraud (focused largely on the Baghdad area), the absence of data from the vote by Iraqis abroad, as well as a complicated procedure for assigning compensatory seats, these figures cannot yet form the basis for detailed prognoses on the composition of the next Iraqi parliament. But local-level predictions for the southern parts of the country can be made with some degree of confidence. As many expected, the elections in the south were effectively reduced to a battle between two lists, the pro-Shiite, Islamist United Iraqi Alliance (UIA, list 555), and the secularist, anti-sectarian National Iraqi List (list 731). Many had prophesised that the Islamists, who won massively in the last elections nearly a year ago, would meet with more effective competition this time. But the preliminary results indicate that the Islamist victory is now in fact even more resounding. The UIA has taken around 77% of the vote in Basra, 86% in Dhi Qar (the governorate to the north of Basra along the Euphrates) and a whopping 87% in Maysan (Basra’s northern neighbour along the Tigris) – amounting to gains in the range of 5–15% on last January’s poll. Iyad Allawi’s secularists, on the other hand, have lost around 126,000 voters, or almost half of their support in Basra and Dhi Qar and three quarters of their voters in Maysan. Some of these figures are the results of defections from one secular party to another. 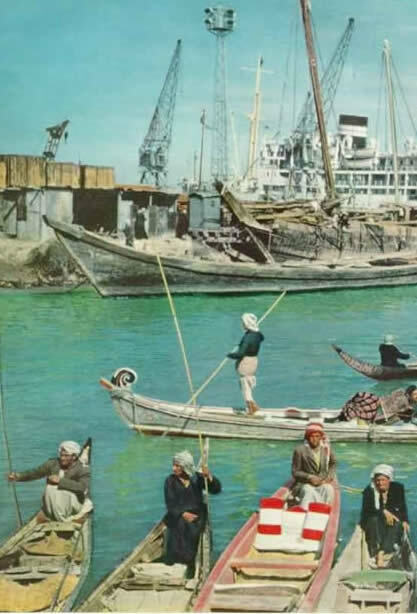 In particular, a contestant with special local connections, the Movement of the Revolutionaries of the Shaaban Intifada [the 1991 post–Gulf War uprising] has done well, picking up some 2% of the vote in Basra. The party has a non-religious outlook and a leadership largely from the south. But this alone cannot explain the change. Firstly, the UIA has seen its own ranks swell because more parties belonging to the radical Islamist Sadrist current chose to participate within the Alliance this time. But perhaps even more significantly, statistics suggest that the UIA may actually have won over large numbers of voters from Allawi since last January. In a pattern seen across Shiite-dominated governorates of Iraq, absolute numbers of Allawi supporters have consistently dropped although overall participation is now higher. (In governorates where Sunni majorities boycotted last January, Allawi has only managed to pick up 5 to 10% of the electorate that this time chose to participate). The very format of the electoral campaign may have stimulated this sectarian tendency: regular debate was disrupted by the drama of Saddam Husayn’s trial, before logistical issues of conveying voters safely to the polling centres took precedence and the country came to a standstill during the week before 15 December. In Basra there were allegations of police cars being employed for electioneering purposes on voting day; a testament to the influence of armed militias in the local administration. An atmosphere conducive to moderate debate of political issues it certainly was not. With the huge number of UIA deputies returned from the south, the focus will now inevitably shift to tensions within that heterogeneous bloc of politicians. It is often assumed that the Supreme Council for the Islamic Revolution in Iraq (SCIRI) is the leading force within the UIA. A closer look at the likely representatives for Basra, Maysan and Dhi Qar shows that while this interpretation may be true for the Baghdad leadership, it does not square with the party affiliations of UIA members in the south. Only 2 out of the 29 UIA candidates whose seats seem secure have a clear association with SCIRI, and an additional two from the institutionally independent Badr Organisation (formerly the Badr Brigade) can be considered as being close to SCIRI. That means that more than 80% of UIA deputies from the south will have other, non-SCIRI, loyalties. Of these, 7 are Sadrists loyal to the radical Islamist Muqtada al-Sadr, 6 are members of the Fadila Party (a competing Sadrist party whose spiritual guiding light is the cleric Muhammad al-Yaqubi) 5 belong to a breakaway faction of the Daawa Party, 3 are from the mother branch of that organisation (also the party of Ibrahim al-Jaafari, the current prime minister), and then there are 4 Islamist independents. This southern battle over federalism has larger, national extensions that could influence power struggles in Baghdad. 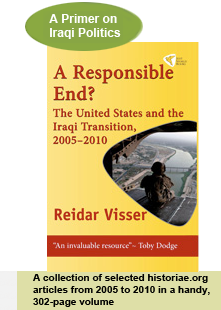 Importantly, the phenomenon of SCIRI hegemony within the UIA being challenged by non-SCIRI numerical superiority (in terms of new deputies) can be seen in most other governorates with the exception of Baghdad – and so Hakim and his plans for sectarian federalism may enjoy less support than is commonly thought. 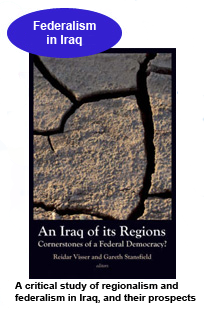 In addition to “southern regionalism” defectors, there are Sadrists from central parts of Iraq who are scornful of ideas of federalism altogether, and independents who are also more comfortable with the traditional idea of Iraqi nationalism defined in non-sectarian terms. Even nominal supporters of federalism like Ibrahim al-Jaafari and his Daawa Party have at times hesitated in expressing active support for the concept, and have certainly signalled distaste for the sectarian specimens floated so enthusiastically by SCIRI. On top of this there is the possibility for certain adjustments to the overall distribution of seats to secularists and Islamists if complaints about election irregularities are proven valid. All this means that despite the indications of an overwhelming UIA election victory in the south, the tripartite model of an ethnically divided Iraq federation may still get competition from older federal designs. These include the non-sectarian “administrative” federation of 5–7 medium-sized entities (with which the small-sized 3-governorate southern region plan would harmonise) as well as the long-established scheme for a bi-national Arab–Kurdish union. The election results also have implications for Abd al-Aziz al-Hakim and SCIRI: they may yet find themselves facing some quite unexpected obstacles in their struggle for supremacy over the Islamist political scene among Iraq’s Shiites. 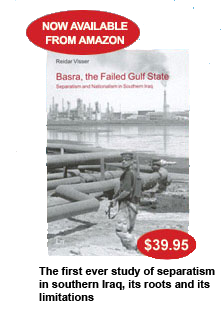 For more on Basra politics, history and the question of regionalism, see Basra, the Failed Gulf State: Separatism and Nationalism in Southern Iraq. This document may be freely reproduced as long as http://historiae.org is credited as the source.